Fly-by-wire plus some enhancement by the computer probably. For example, as I understand it, in launch mode off a carrier, fighter jets are put into an automatic launch mode, where the computer flys the jet for the first few seconds. That's because the g-forces from the launch can possibly compromise the pilot's ability to control the takeoff well. In-cockpit videos often show the pilot grabbing onto handles near the baseline of the canopy for the launches. So in general, fly-by-wire computers take the pilots' inputs and process them to best control the aircraft. Some advanced aircraft are too unstable to control with just human control (not commercial aircraft). This says "Using electric pitch trim will only pause MCAS, to deactivate it you need to switch off the STAB TRIM SUTOUT switches." This seems to indicate that the cutout switch the pilot comment we were discussing referred to does disable MCAS. OK, but isn't it safe to say that in these cases, the pilot would see the plane pitching down and indeed, exerted force on the yoke to correct it? "See" it how? What if they are climbing out through clouds, and there is no visible horizon? 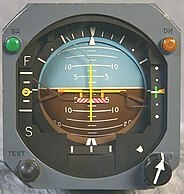 What do pilots use to keep their situational awareness (SA or Sierra Alpha) with no visible horizon? Right, it also has a note underneath that that says, "High control forces may be needed to correct any stabilizer nose down trim already applied." Then it says to use electronic trim control to correct it first, then cutout, then manual can be used after. This sounds ridiculously cumbersome in the event of the MCAS operating in error, where the plane can literally be in a dive at fast airspeed. Really I think what we're going to see is a complete revamp of the MCAS system if it can even be redesigned effectively. - Boeing’s completion of the flight control system enhancements, which provide reduced reliance on procedures associated with required pilot memory items. The FAA anticipates mandating these design changes by AD no later than April 2019. The last design change is something I suggested along with the minimum altitude threshold, basically that if the pilot is continually pitching upward and MCAS keeps sending a pitch down command it should be smart enough to know something is wrong. Hence "MCAS Maximum Command Limit"
It may be the design of the MAX 8 was so aggressive to save on fuel that software or MCAS can't reliably create safe dependable flight controls in all scenarios. For Boeing sake, hopefully that's not the case. But given their revenue yearly, it's a cost they could afford and recover from. Right, that's the wrong verbiage. A better term would be "determine". Yes, I imagine that is a very mission critical instrument to a pilot. Not many failure modes for that sucker I imagine.